Glucagon is a hormone that raises the level of glucose in the blood. The alpha cells of the pancreas, in areas called the islets of Langerhans, make glucagon when the body needs to put more sugar into the blood. Glucagon binds to a receptor on liver and muscle cells (called the glucagon receptor), stimulating the cells to release glucose. For people with type 1 diabetes, the pancreas does not release insulin, making them unable to adjust insulin levels in response to glucose levels, and type 1 diabetes can also impede the secretion of glucagon, making them at risk for severe low blood sugars. One of the potential side effects of a rescue dose of glucagon is vomiting, so be sure to place the person on his or her side prior to injecting so they do not choke. After injecting glucagon, follow with food once the person regains consciousness and is able to swallow. Lilly's Glucagon Emergency Kit, opened. 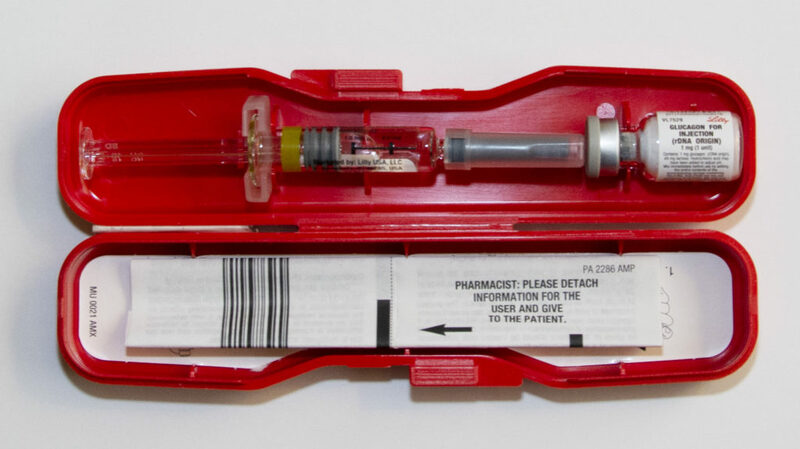 Glucagon can be used for more than just rescue when someone has lost consciousness. It can be used, in small doses, to raise blood sugar when someone can't eat -- for example, when sick due to a stomach illness. This is called mini-dose glucagon rescue, and while it is off label, many people with type 1 diabetes report using it with great success. 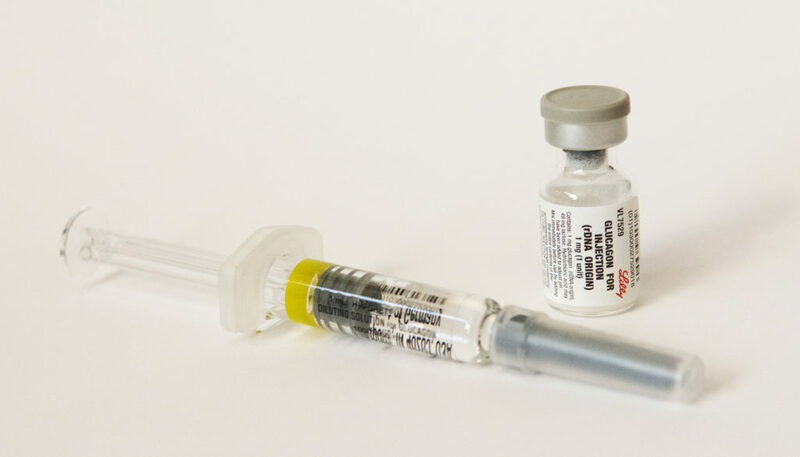 Learn more on our Mini-Dose Glucagon Rescue page.